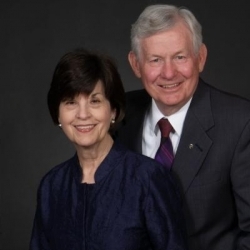 Don and Barbara Taylor became members of this congregation in 1970 when they moved to Liberty. Don was a lawyer by profession and is now a retired judge who sits by assignment in various courts in the area. He began serving as a deacon in 1975 and became an elder in 1999.